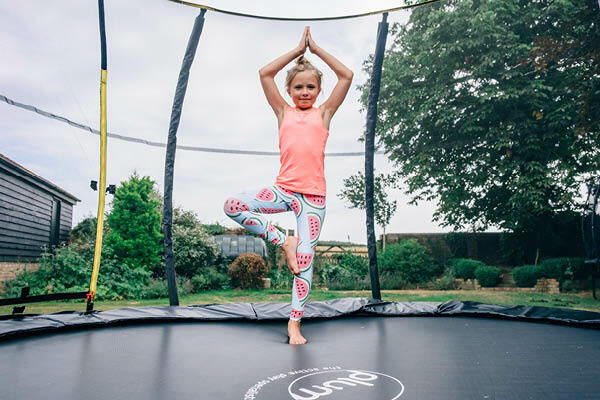 The WEB trampoline offers a brand new innovation in to the world of bounce, giving an exciting alternative to our spring-based trampolines. Free of springs, the WEB has woven, elasticated bungee webbing in place of traditional steal springs. 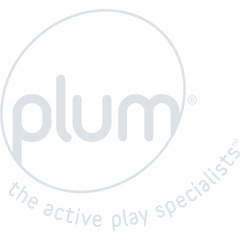 Like our spring based trampolines the webbing gives a soft, safe, vertical bounce, protecting the knee joints from impact. This is the latest development in our Springsafe® technology. Our Springsafe® design separated the jumper from the frame parts. 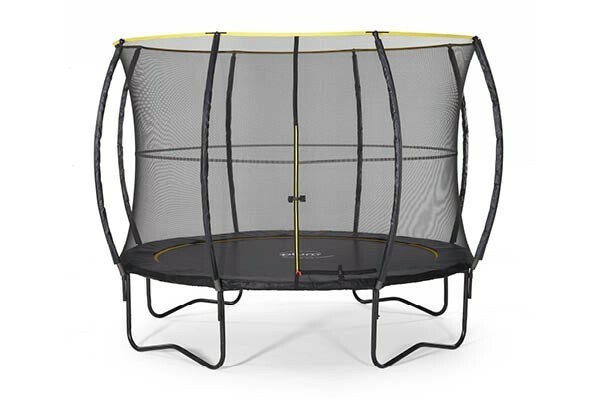 This springless trampoline has a larger jumping mat -20% bigger than traditional circular spring-based trampolines. 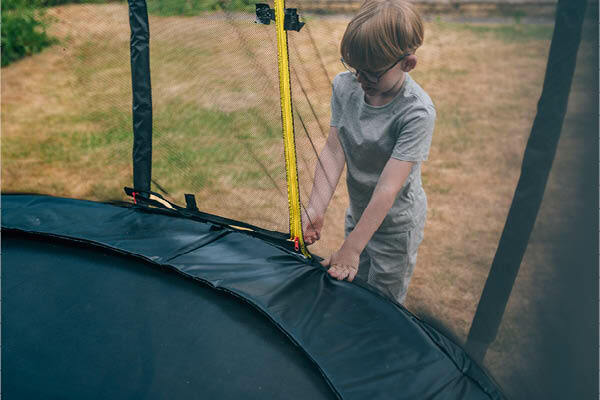 The ‘L’ shaped zip closing with claps also means your little ones- and big ones- can bounce freely, but safely on this high-quality assured and trusted trampoline. 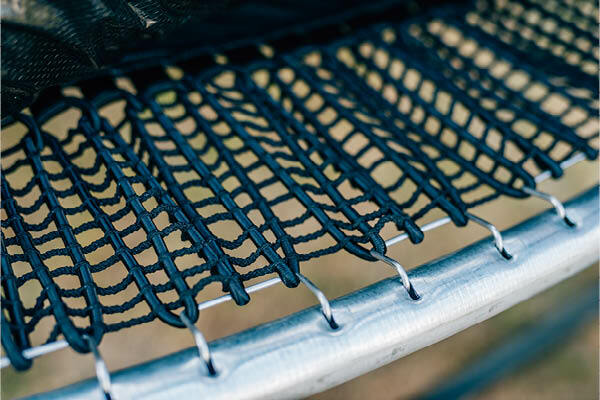 A new innovative elastic webbing alternative to our spring-based trampolines. This is the latest development in our Springsafe® Technology. The black powder coated frame is galvanised inside and out for strength and weather resistance, providing long lasting, rust free protection. 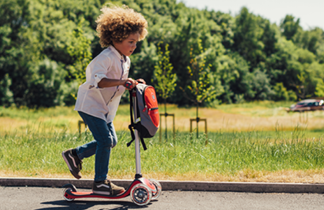 ‘L’ shaped zip closing with additional clasps allows your little ones- and big ones- to bounce freely, but safely. 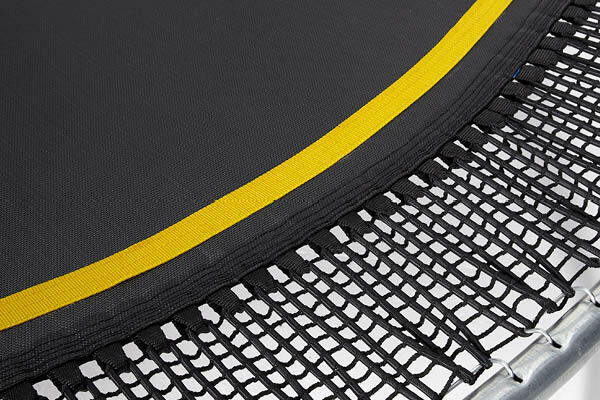 20% more jumping space compared to traditional circular spring-based trampolines. A minimalistic design with a pop of yellow, adding a timeless look to any garden..
Safety Pad Material – PVC Enclosure Material- Black Polyester Self Assembly Required- yes Approx time: 2 adults, 2 hours.